We operate from our warehouse premises in Corby, which allows us easy access to all the major road links throughout the UK. We offer 27,000 square feet of warehousing space of which the majority is racked, although we do have free standing space for awkward items of an unusual shape or size. With the flexibility to undertake all types of warehouse handling, both manually and by fork lift, we are able to offer container loading, unloading and break bulk operations. All stock received into our warehouse can be stored on a short, medium or long term basis. Our computerised stock location system allows us not only the ability to monitor stock levels at all times, but ensure that we are able to despatch your goods quickly and efficiently as per your instructions. 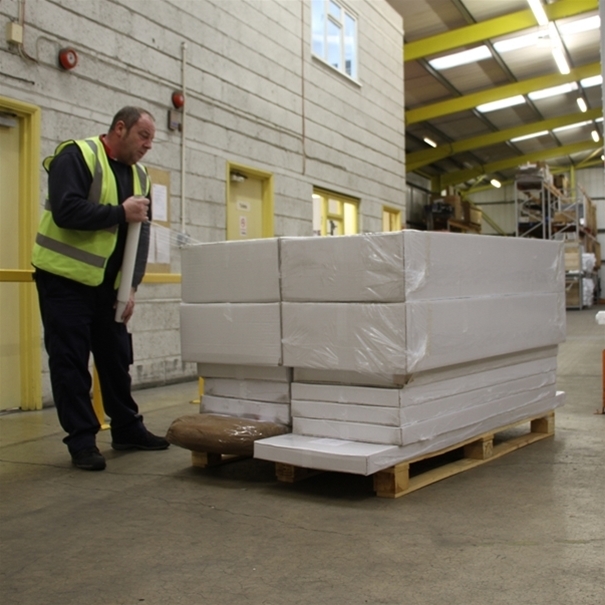 Within our warehouse we offer the facility for picking and packing, and operations such as checking, collating, stickering, re-packing and re-palletising.